Lovewild Design is a sustainable gifts and stationery line made with locally and responsibly-sourced materials. From their store + studio in Brooklyn, NY, they create handmade goods that support low-impact manufacturing, local vendors, and lovely harmony all around. 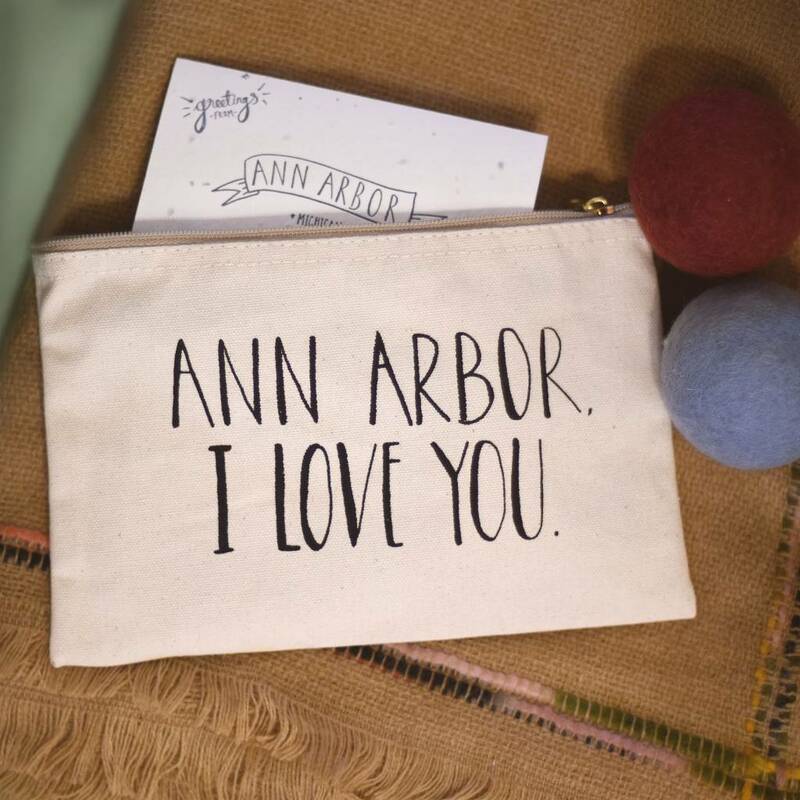 Let everyone know your feelings for Ann Arbor. 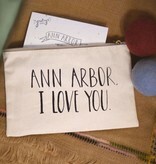 Each ann arbor I love you zippered pouch is hand printed in our studio on a heavy weight natural cotton canvas. A perfectly sized pouch for your pencils/cash/makeup/tampons! I also carry lovewild design's handmade paper greetings from ann arbor greeting cards that are embedded with seeds. The cards can be written on and sent just like normal stationery. The hand-printed cards are sustainably made and will grow wildflowers when nestled in soil. Planting instructions are printed on the back of each card. Contact us if you'd like the card to match the pouch. Greeting cards are $7.